So today I went shopping in Park Street in Bristol. It has some cute little boutiques that I've wanted to look in! So I got this beautiful red velvet cropped top with rolled up sleeves and I'm going to layer it with lots of metallic necklaces for a rock edge! 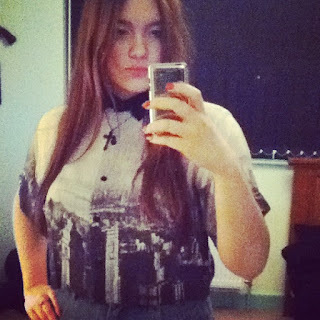 Image 2 presents a cropped collared blouse with a print of New York buildings on it! Very urban and I've mixed it with a black diamante cross necklace for a Gothic look. 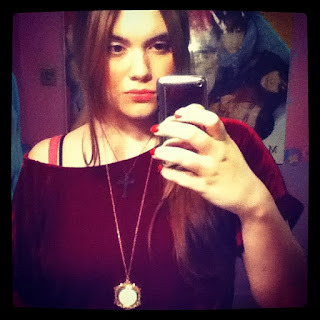 I apologise for the bad quality photos and moody looks from myself, they were taken on my iPod.